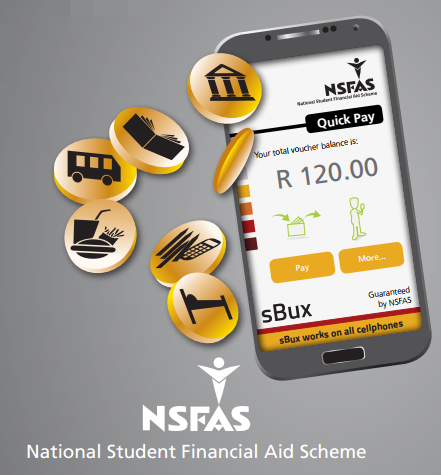 This new NSFAS system, called sBux, allows students to pay for food, accommodation, books and travel allowances using their cellphones. NSFAS says this system works on all cellphones. This is an innovative idea from NSFAS capitalising on the fact that most students have access to a cellphone these days. NSFAS has caused students a lot of disappointment by switching sBux earlier this year; however it is not all bad. Much of the disappointment seems to stem from NSFAS not communicating with students, UNISA and their respective staff members. Students complain that staff members at UNISA and NSFAS call centre staff have no clue about resolving the new system’s issues. Another point Steven made relating to the communication problems is that the funds he received from NSFAS for his book allowance does not correspond with the amount he needs for his UNISA textbooks. NSFAS says “sBux can be used for transport, meals, accommodation and books but UNISA students will only receive book vouchers.” The confusion sets in where UNISA students think that sBux can be used for other things such as paying their UNISA fees or accommodation. Hopefully NSFAS will be able to keep students abreast of any further developments and try to make any new implementations as user friendly as possible. What are your thoughts on the new NSFAS sBux system? 158 Responses on The problem with the new NSFAS System (sBux)"
I, lost my pin number. i want to know how to access it. i am registered for year modules and i will need money for the textbook as the one i had only covered books for my first semester module. I cannot find any contact details for Fundza Lushaka. Please try to email them again. Hi am unisa student,When does sbux send us the voucher to purchase text book?? Hi I, I lost my phone that I used,I tried to get a voucher to purchase books but it says invalid pin even though it is right with my mom’s phone. Can I use the till slip I got when purchased for 1st semester books as it got all the info? You could try using the till slip, but if that doesn’t work you should contact NSFAS directly. You will have to take this up with NSFAS as we are not affiliated with them. Hello i am worried about Funzalushaka bursary i always apply but it says “application unsuccessful due to poor perfomance it makes me wonder because i always pass and have distinctions too will you please explain about it i am trying by all my means to obtain good marks in all my modules but i am dissapointed why? I also experience the same problem, its four months now. Fortunately I passed all of my modules for this semester using study guides which I received from UNISA. I can login with my Sbux account online, and it says I have R4000 in my wallet for book allowance, but while it says unverified on my profile, so I took this matter to the NSFAS and Sbux assistants but it seems like they have no idea of their job specification as they supply me with deviating and contradicting statements. I’ve been wasting much of my time and my family’s money contacting them directly, my tears coming out every time before I open my study guides wondering if I’ll make it or not without prescribed books. Really something has to be done as this negatively affects our ability to acquire these educations, Is either the Sbux service has to terminate its system or resolve its system functioning. We’d like to be satisfied with the NSFAS as we’re going to refund in future, Its not free. Hi Prominance, Have you contacted NSFAS directly? In 2013 I was a funded by NSFAS whilst I was studying at NMMU but in the following year I was not funded again maybe because of my poor results at the end of the year. my concern is that why did NSFAS did not pay the full amount as it was supposed to be. I now still owe the University an amount of R7651.43. Have you contacted NSFAS directly with your enquiry? Hi there…I would like to know if I will be able to get a cash voucher because I have tried creating one as instructed on the sbux but it declines. I struggle with transport. Thanks. Hi I have activated my sBux but my account is R0..it says the was error in payment can you please help me to sort this problem so that I can able to get my voucher. Please contact NSFAS directly with your query. At last I have found my voucher after waiting too long.ThanK you I bought my books.Calling the call centre helped a lot. Hi,i found that someone has used my voucher number to buy some staff. I was suprised when i found out that the amount i know i have is no longer the same,please help,what am i supposed to do? That’s terrible Confidence! 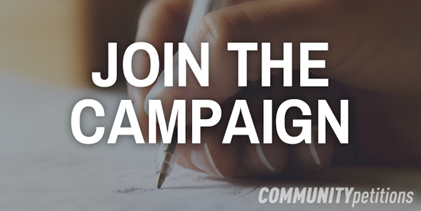 You should contact accounts@nsfas.org.za immediately. I would lile to know when is the opening date for nsfas unisa second semester 2015. I want to apply as I would love to start with my studies. I’m not sure when they will be opening, but you can email dsf@unisa.ac.za with your query or visit http://www.unisa.ac.za/default.asp?Cmd=ViewContent&ContentID=16967. I tried to activate my Sbux account today but each time a password is requested. This is the first time I am introduced to this system. I have followed the instructions how to activate the sbux account but was unsuccessful. Comment i like to know that this sbux voucher is it paid for the hole year or its paid each semester. I think it is paid each semester. Am a UNISA student i have just received my books voucher after my exams.. Is it possible to claim my book voucher into cash? HELLO I AM A UNISA STUDENT , I WANT TO ASK WHEN ARE WE GOING TO GET TEXTBOOKS VOUCHERS BECAUSE WE ARE STARTING WITH THE EXAMS IN FEW WEEKS. Hi I lost my password and I recently call NFSAS offices to assist me with my password and they said they won’t be able to help me. Then where am I suppose to get my password from? I am a current sbux beneficiary and up now I haven’t been funded for books, accomodation ,etc.I do not really understand whats happening this year!As an active student, this just brings my morale down and Im no longer inspired.Furthermore exams are nearing without all necessary tools. If the authorities can shed some light there, I would highly appreciate. If you are eligible for allowances, NSFAS will pay your allowances in the form of vouchers, which are sent to your cell phone. The vouchers have a unique number and can only be used once. You are able to spend these sBux vouchers at registered sBux merchants. If you receive travel allowances, you are able to redeem cash vouchers at Shoprite, Checkers, Boxer, U-Save and select Spar stores. You may not redeem food, books or private accommodation vouchers into cash. when am i getting to sign the SOP form i cant pay rent because of a problem i have with the financial aid please respond. Im a Unisa student and nsfas paid half of my registration fee, I received an email saying I should sign the LAF agreement form, I did and have been waiting for a welcoming message from sbux, when I try to register it requests for a password which I do not have. I called the nsfas call centre and the lady said she will send me the message immediately but I waited even today im still waiting. Please help because I want to buy books for next semester. to which email address do i send my documents if i want to change my cellphone number????? I am desperate for any help or advice. I have called the NSFAS team numerous times and they are not much of help. I am a Funza lushaka bursary holder and NSFAS were supposed to give me a SOP to sign but they gave me a LAF. I signed it before I knew the difference between the two. I never applied for any loan I want it to be changes back to a SOP. Its s possible to get another voucher number? Hi, I’m from DUT and I have a problem regarding my vouchers, I only receive book allowance voucher. What happened to my food allowance cause I stay in res? COLLEGE I received sbux money today which is 1200 and I made a mistake where I should have entered 1000 but I entered 1200. and I told cashier that I want to withdraw 1000 but does not allow pls help what should I do. I have been receiving my traveling allowance from april and it comes on the 19th of each month..this month i hvnt received anything.. So do we receive our allowances in july after the holidays? Good day, I am currently applying for a bursary on the NSFAS website. However, while entering the Cellphone number and annual income numbers, I came across a odd little problem. No matter how many times I entered the numbers, the website stated, and I quote, “Please enter a valid number.”. Even when I attempted different variations of the numbers (eg. different spacing, adding R or Rand in front of the annual income), the same message appeared. I am unsure as to whether this is a glitch of the system, or whether I am going about this in the wrong way. Can you please help? Actually, never mind, figured it out, sorry. And I quote, “Those who believe that there is no such thing as a stupid question, have never worked in Customer Service.”- funnyquotes. A fitting quote for my stupidity, I believe. Sorry again. if you apply for nsfas,do they need results points? I received an sms saying I must sign my sop and I did but I still can’t access my Sbux, it requires a password of which I do not know…can you please assist me on this. Please try this number 0860 067 327, hopefully you will be helped. I do not know where to start, last semester I got my allowance first of MAY. Only got a month to cover my studies, submitted my assignments using old books and google. NOW again since last semester I did not get my allowance. They sent a message saying I will get my allowance first of AUGUST. Even now I am waiting for the dark, as I see. Tried to call and email them no answer. They rather put me on hold till my airtime is finished. Help me please. Hi..i apply bursary for this semestr and i ddnt receive any message to show me that am accpted ,nd now i get stuck and i didnt have money to pay transport,nd am near by exams nd falied to write some test because of money…so help me. I signed sop on 6 of October but I have not received my allowance till now. I called Nsfas many times they promise that they will check the problem and call me back but till now I’m still waiting. How many month are we suppose to receive sbux in 2016? This 2016 year how many month are we suppose to get the sbux money? Does anyone know if Shoprite in Greenacres, Port Elizabeth accepts SBux? Or does anyone know where I can get a list of Port Elizabeth retailers that accept SBux? Comment Hi i want to know that when i receive my voucher becouse i signed the sop. I have received a message saying that I’m provisionally funded but since 4 February I haven’t received any message and on my NSFAS account my application status is no longer there. What do I do next? Is possible to transfere your money from sbux to your study fees or to your bank so that you be able to go to the cumpas and paid your fees. please reply to my email. I am student at Unisa doing my 3rd year, since we don’t have an acommodation am but and using my own cents for transport do nsfas fund students who renting and if nfsas does how? I have signed my LAF weeks ago and I didn’t recieve any welcoming message directing me the procedures to follow, even if I am dialing the USSD code there is no network. I don’t what to do because i don’t have access to sBUX I can’t even buy books and the exams has began. hy can u plz help i recieved a sms from sbux saying dat i must dial *134*176# to activate it bt my phone said dat i:ve put my id wrong too many times i mst call the call centre i did dat they gave me a website appspot.celbux.com bt even now im not getting any help .so i waz asking dat is it possible for me to activate it via internet? THERE IS AN ERROR IN MY NUMBER INTERPRETING.I DID EMAIL MY DOCUMENT TO NSFAS TO CORRECT IT. It looks like you are trying to contact UNISA. However, you have emailed us at Together We Pass. We are not affiliated with UNISA, so we cannot help you with this query. If you want help with your UNISA studies, with extra tuition, notes and exam packs we are your guys. If you need assistance with you UNISA modules do not hesitate to get in touch with us so that we give you full information. i tried to redeem my cash voucher today but it wont go through it keeps on saying declined and i desperately need the cash please help or is there somethung wrong with my voucher number? so they can be able to assist you , we only offer online study groups for registered UNISA students. Let us know the modules that you are registered for with UNISA so we can tell you whether we offer support for those modules. I went to Shoprite Saturday to withdraw my cash voucher and it declined, but when I checked my balance it still R0 yet it also says “reversed”. Now I’m not sure of what to do. Thank you for your comment . Unfortunately we are not able to assist as we are not affiliated with NSFAS we offer online study groups for registered UNISA students.